Tent Footprint vs. Tarp: Which is a Better Choice? When we’re camping, we can either have a camping fan or a heater to make the temperature ideal for us. Or we can bring with us a tent footprint to add additional warmth, have a more even surface, and ensure that water won’t seep through the tent and dampen us. However, you’ve got another choice aside from a tent footprint, and that is a tent tarp. But which is better? Tent Footprint vs. Tarp? In this article, we’re going to tell you everything you need to know about it. For sure, you’ll know which one you need to use for a better and more comfortable camping experience. What is a Tent ﻿﻿Footprint﻿﻿? Why Use A Tent Footprint? What are the Different Types of Tent Footprints? What is a Tent Tarp? When to Use Them? Tent Footprint or Tarp? Tent footprints are camping essentials which are used as a type of ground cloth that is placed beneath a tent. Its main purpose is to prevent wear and tear on the tent’s surface as it is directly in contact with the ground. The number one reason why you need to have a tent footprint is to prolong your tent’s lifespan. Most tents these days are made with sewn groundsheet, which isn’t that durable. They can easily get torn apart by twigs or rough stones on the ground. To prevent this from happening, you need to have a tent footprint. 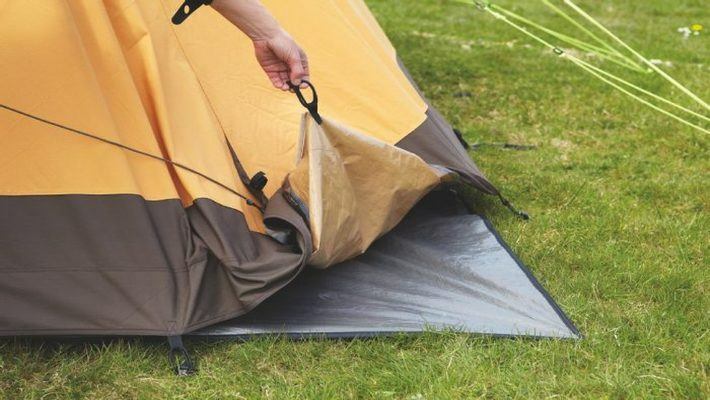 This protects your tent from the wear and tear. It functions just like a screen protector for a newly bought smartphone. Are tent footprints waterproof? Another cool thing about having a tent footprint is that these add an extra layer of the sheet. This makes the tent, specifically its base, to be more waterproof. We campers know how uncomfortable it is to lay on your tent that stands on muddy soil. This is especially true during the rainy seasons. No matter how good your sleeping bag is, you still can feel the gross and sticky feel of the damp soil beneath you. By having a tent footprint, you don’t have to worry about that because most of these footprints are 100% waterproof. This means that water cannot pass through its fabric. And what happens when your tent footprint is waterproof? It simply makes you more comfortable because you won’t feel cold. You’ll feel much better because of the extra warmth you feel as a result of the dry tent surface you’re lying on. This is the reason why most campers bring tent footprints when they're out camping in the winter months. Aside from having a good sleeping bag and a couple of portable heaters, having an extra layer of the surface will make it more comfortable for you because of the warmer feeling you get. 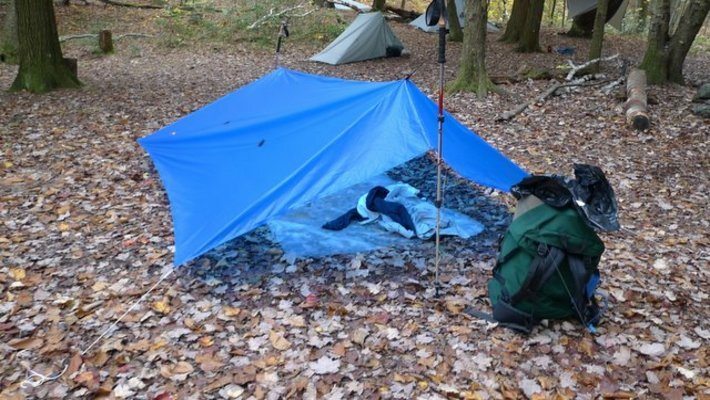 PRO TIP: If you used Tent Footprint but it was not effective enough to warm up your tent, you can learn more about some methods to make a tent warmer. Solid tarp-style tent footprints are the most popular type because of its durability and sturdiness. These are also more affordable than other types. It’s pretty good in waterproofing your tent, giving you extra warmth on cold nights. This is also easy to clean. You can simply use a hose and wipe it off with a clean cloth. The only downside to these is that they can initiate condensation especially if it’s larger than your tent’s actual size. Then there are the shade﻿﻿-cloth style tent footprints. These are more expensive than the tarp-style footprints, because of its material and design. This allows the ground underneath to breathe, giving you a better connection with nature around you. What's not good about this is that they're not that waterproof and mud or water can still seep through the mesh's fabric. Tent tarps have the same function as with the tent footprints. The only main difference is that they're not just specifically made to be a form of ground or floor for the tent, but it can also be used in some other things. 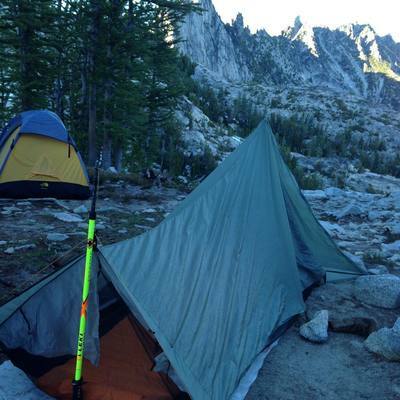 It can serve as a roof, like a pole, or even as a heat reflector to keep your tent cooler. There are a lot of benefits you can get out of a tent tarp, but the best one is that it protects your tent’s bottom part. This can be used as an extra layer of flooring for your tent, which in turn protects it from rough sticks and stones present on the ground where your tent is placed at. Another cool thing about tent tarps is that they can be used in several ways. They can also be an extension of a tent by making them as makeshift roofing. This is handy especially if you’ve brought a lot of things with you. You can put your kitchen items and cooler outside because they’ll still be protected by the tarp. You’ll save space inside your tent by placing the other things outside. What's great about tent tarps and the main reason why some people choose them over footprints is that they're more portable. They're more lightweight compared to most footprints, and they're multi purpose as well. So you're bringing you a lot of things instead of just one footprint, making them practical to have. These tent tarps can also be used as a cover for your sensitive things such as gadgets and equipment. When you’re out camping, you’re most likely to put your other things outside of the tent where they can be exposed to the environment. And if it rains or if the weather is too hot, your things might get damaged. With the help of a tent tarp, you can prevent this from happening because these are thick enough to block out the sun’s harmful UV rays. They are also waterproof, making them repel water easily. You can also use this to serve as an extra layer of protection for your tent by making it a makeshift roof. The perfect time to use a tent footprint is when you are planning to go camping in a place where the ground might be coarse or rough. Beaches have sands that can cause abrasion on your tent's floor. 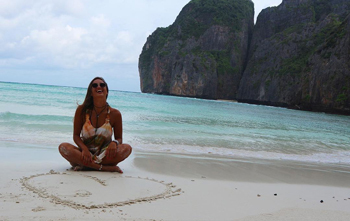 If you’re going to camp on a beach, then it makes perfect sense for you to use a tent footprint or finding the best beach tent her﻿e. 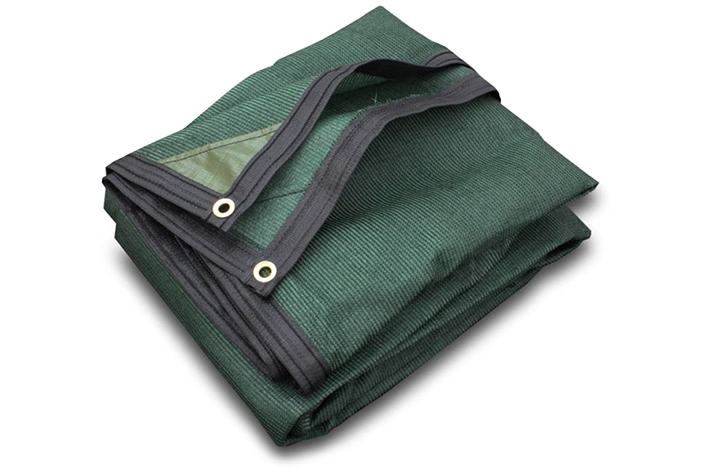 These are specifically made for that purpose – to protect your tent’s bottom part from wear and tear. On the other hand, it’s better to use a tent tarp if you’re bringing with you a lot of things. These are multipurpose, making them usable in a variety of different situations and functions. Tarp vs Tent Footprint? With all of these being said, you can see those tent footprints are more specifically designed to serve protection for your tent's bottom part. If you want to ensure that the inside of your tent will be waterproof, then a tent footprint is what you need. But if you want to have something that can be used for a lot of things, a tent tarp is more needed because it’s multipurpose. It can serve as a cover, as a makeshift roof, or as a waterproof ground cover. But at the end of the day, it still depends on you. Hopefully, you've learned a lot from this article. Feel free to share it with your family and friends, so they'll also learn something from it. You can also comment down below because we'd love to hear from you.